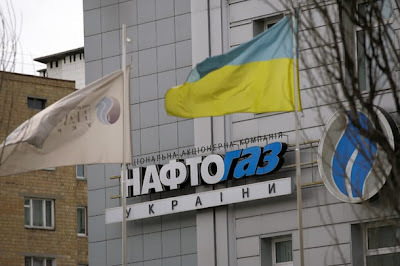 KIEV, Ukraine -- Ukraine's state oil firm Naftogaz has paid a delayed $21.7 million coupon to bondholders after its first payment was frozen by a London court, the finance ministry said on Wednesday, narrowly averting a damaging debt default. The company, whose bond was fully guaranteed by the Ukrainian government as part of an older 2009 debt restructuring, had until October 10 to make the payment originally due on September 30 as part of a $75.8 million bond coupon. Failure to pay within the 10-day grace period could have triggered so-called cross default, not only on Naftogaz's entire outstanding debt but eventually on billions of dollars of Ukrainian sovereign bonds, in what would have been a major blow for a country that is already facing deep financial stress. The cash-strapped ex-Soviet republic's ability to pay debts has aroused concern among rating agencies as it prepares next month to sign association and free trade agreements with the European Union despite threats from traditional partner Russia. Ukraine's finance ministry said it had repeated the payment, which had been frozen by a London court on behalf of an unnamed third-party creditor. 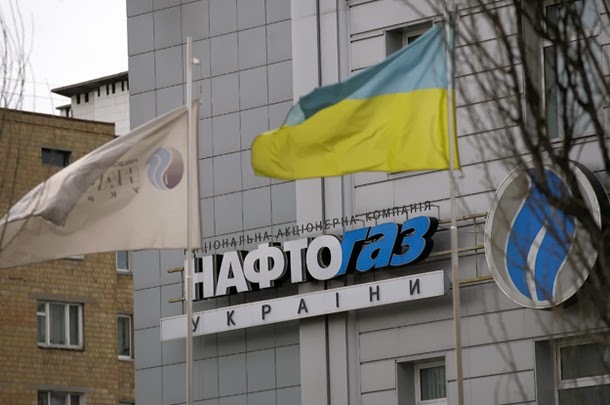 "Naftogaz's paying agent last night carried out full settlement of the coupon payment in favour of the eurobondholders," Galina Pakhachuk, head of the ministry's debt department, told Reuters. "The bondholders received the whole sum of the coupon payment," she added. The bond, which matures next September, rose more than half a point on the news, with yields falling to 16.4 percent, slipping from the previous session's record high of 17.2 percent. Naftogaz has often been at the centre of energy rows with Russia which have previously led to supply cuts to Europe. Though the last-minute move appears to have averted a default crisis at Naftogaz, the panic over the repeat payment underlines the parlous state of Ukraine's finances. It is estimated to have more than $10 billion in maturing debt over the coming year, almost equivalent to its central bank's entire usable reserve stash. This includes the $1.6 billion Naftogaz bond as well as a $1 billion sovereign bond maturing next June. Ukraine cannot draw on International Monetary Fund money. The IMF froze a $15 billion programme with Ukraine in 2011 after the Kiev government reneged on pledges to curb subsidies to Naftogaz and raise the price of domestic gas. Though an IMF technical mission is expected in Ukraine this month, the Kiev government has not yet announced plans to ask for a new bailout programme. Analysts said a default would have allowed creditors to claim the entire outstanding amount from Ukraine. Failure by the sovereign to satisfy the claim would trigger cross default across all other Ukrainian sovereign liabilities. "It would have been crazy not to pay the $21.7 million (again) because if all the debt becomes repayable instantly, Ukraine cannot afford to repay," said Max Wolman, a fund manager at Aberdeen Asset Management who no longer holds the bond. The danger is of a repeat of this episode, he said. "There will be future coupon payments and unless Ukraine settles all outstanding debt repayments, you could again get a court case like this that attaches a coupon payment and ultimately results in cross default. That's the risk Ukraine faces." Some analysts noted the case coincided with Ukraine's deteriorating relationship with neighbouring Russia, which has been angered by Ukraine's efforts to build a closer relationship with the European Union. "Is Naftogaz the back door means of achieving (a Ukrainian default) and of trying to force Ukraine back into the Russian camp?" Standard Bank analyst Tim Ash said in a note. Naftogaz defaulted on a $500 million Eurobond at the end of September 2009, later issuing a $1.59 billion five-year bond with a sovereign guarantee as part of the debt restructuring. Ratings agencies have expressed growing concern over Ukraine's shrinking reserves, trade and budget deficits and a worsening relationship with its big trading partner, Russia.